They say that technologies deprive kids from being outside. Well, they are probably right. However, it all comes back to the roots – to the way a kid was raised, and the level of nature appreciation the parents convey to a child. 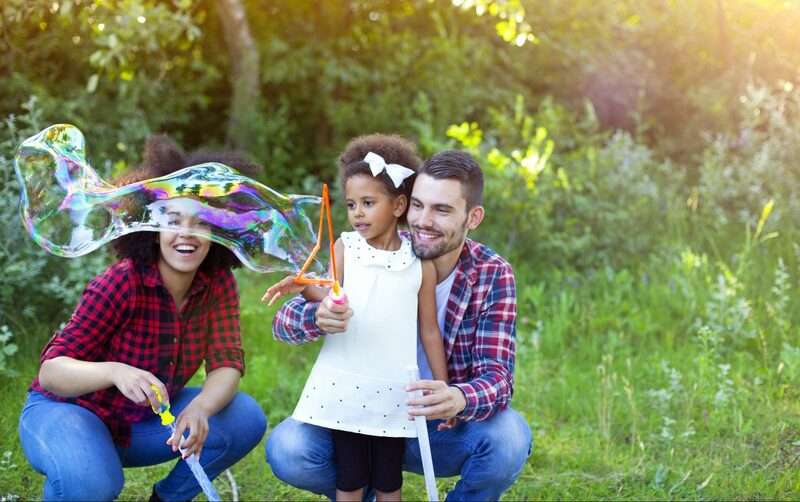 That is why we've prepared a list of fun outdoor activities for infants to help them grow into healthy people, in body and spirit. Whenever you are outside, comment on everything the child sees, hears, feels, and smells. What color is the newly grown grass? What is that chirping sound coming high from the tree? How does it feel when a ladybug crawls on his or her palm? How does the dirt smell? Slot in some regular time to enjoy the wonders of nature with your little one. 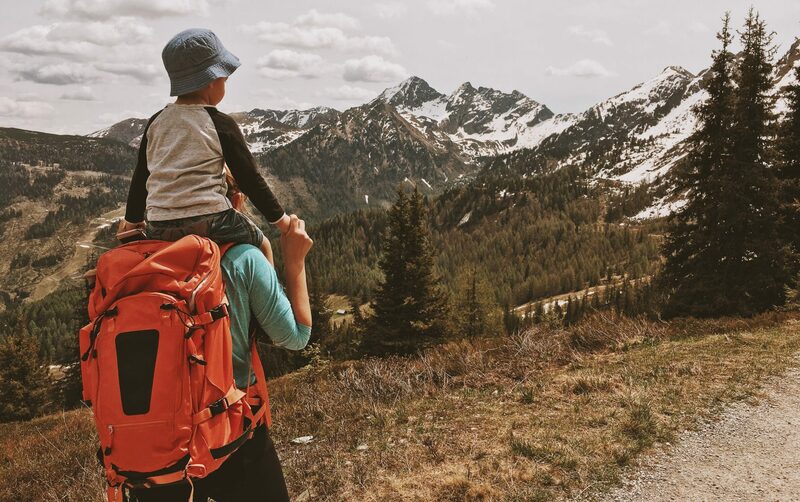 Even if your toddler is not yet a confident walker, make sure to take him or her on short hikes through the forest, national parks, hilly trails, or botanical gardens. You can always carry him or her through tougher terrains. 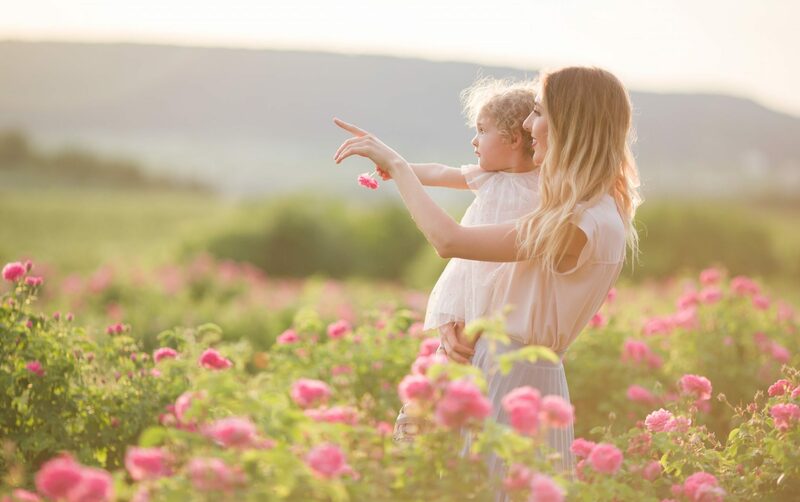 This kind of outside activities for infants will not only help to improve the kid's locomotor skills, but also get him or her learn about the surrounding areas and their flora and fauna. To prepare the liquid for 3 gallon-size jugs, you'll need 6 cups of eco-friendly dish-washing soap, 3 cups of corn syrup (or white sugar), 7 tablespoons of glycerine, and warm water to fill up the jugs. Mix everything together and let it sit overnight. In your backyard, lay a large tarpaulin or canvas and place a large flat basin or a baby pool. Fill it up with your bubble solution and let it sit for a couple of hours for better results. To make the bubbles, use hula hoops with strings loosely wrapped around them so that the liquid sticks better. Let the craziness begin! It's a great play to boost imagination, have plenty of good laughs, and make friends with other kids in the neighborhood. You can use the same solution to make regular-size blowing bubbles. No, I don't mean going to a rock gig in your local music stadium. 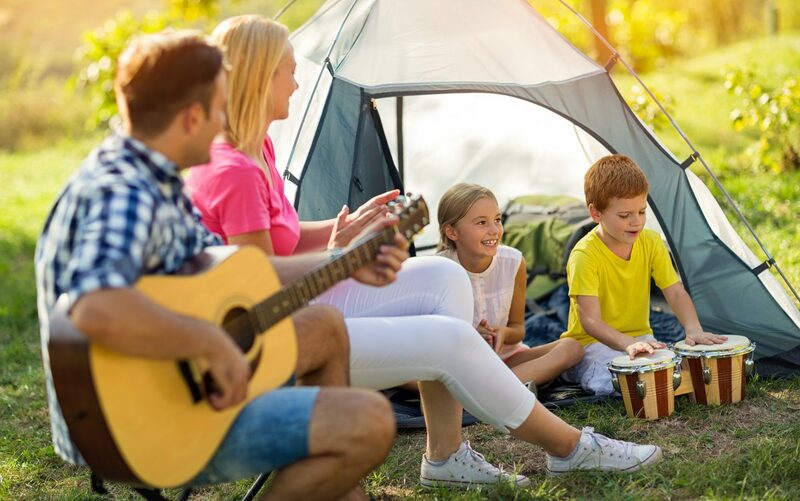 Rather, get your infant play their kind of music outside. Bring out pots, pans, utensils, and real baby-friendly musical instruments, if you have any. Hang them on the trees, on the fence, scatter around on the grass. This is one of the most freeing outdoor activities for infants and toddlers. Just make sure your neighbors are okay with this or, better yet, invite their kids to jam together. 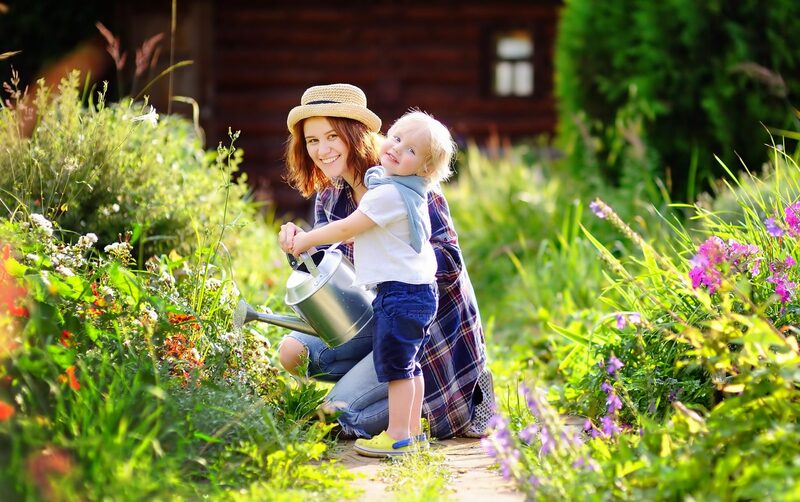 What gardener doesn't need a little helper. If you don't have a garden, that doesn't mean you can't grow indoor plants at home. Bring everything you need to plant them into the pots out to the backyard. Let your infant watch you seeding and planting and even have him or her try to get the hands dirty for a beautiful cause. The best outdoor activities for babies include hands-on learning opportunities just like this one. 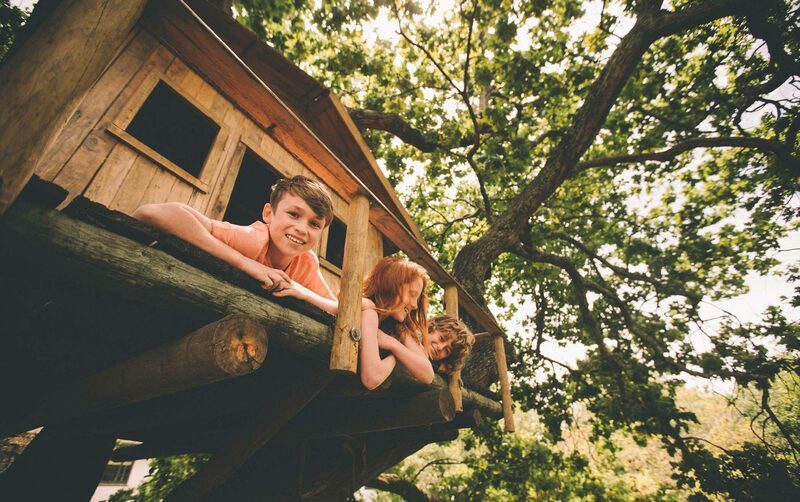 Kids love creating little spaces for them to hide and play. It can be that the great outdoors is a tad too much to be processed, so building a cozy shelter can be a very inspiring project. If you do this in your backyard, you can use pretty much anything. Take the old sheets, pillows, and some decorations, such as garlands and juggles, out of the house. Look for sticks, old branches, and strings to bind them together and make the carcass. If you do this in the forest, you can make an even more naturalistic fort and use what the Mother Nature has on offer. It's also a great way to learn some knotting skills. Who knows, maybe your little one will grow and become a talented scout or maybe this activity will kindle the love for architecture. Here's another artistic outdoor activity for infants and toddlers – play with paint! Indoor coloring can end up in an overwhelming mess, so why not taking it all out. 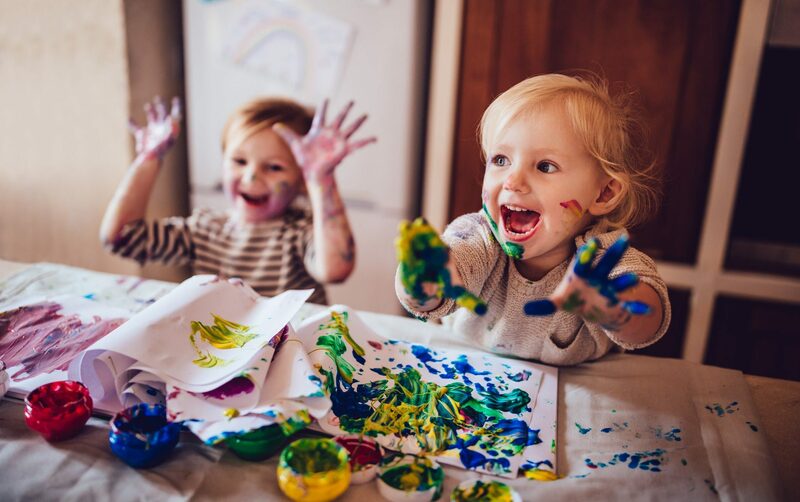 Shop for child-friendly paint options, as most of them have more natural ingredients and are easier to wash off. You can spread an old sheet on the grass and have your toddler splash the liquid paint like a young J. Pollock. Pin large sheets of paper onto tree trunks or other ribbed surfaces and let the child run free through it with paint on brushes or hands. You can also make this play more practical and together paint tree stumps, a bench or a swing on your porch, or your kid's favorite chair.